So this eating healthy thing is going pretty well. Obviously. The thing about this cake/mess is that I accidentally made it vegan in addition to being (obviously) gluten free. We are trying to drink things like milk alternatives (this week it's coconut milk) and I use Earth Balance instead of butter most of the time because it's easy to spread. This is pretty quick to whip up, should be eaten warm, with ice cream on top. I forgot the ice cream, but didn't feel too bad about it. 3 T Earth Balance or butter alt. Preheat oven to 350 and lightly grease an 8x8 pan. Combine the first five ingredients and set aside. 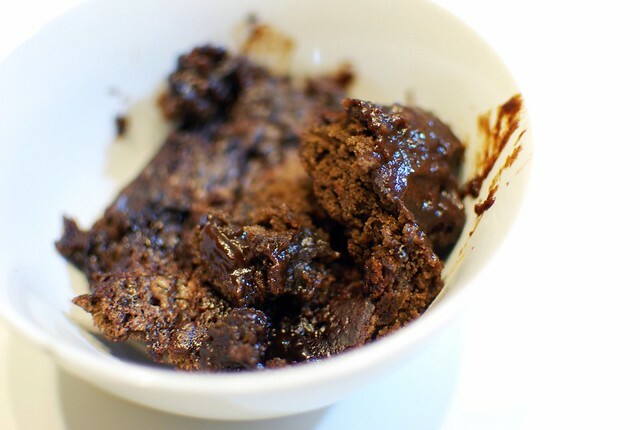 Melt the Earth Balance and stir in the 3 T cocoa powder. Combine this and the milk and vanilla, then stir into the flour mixture. Spread into the pan - batter will be thick, but that's fine. In a small bowl, mix together the remaining brown sugar and white sugar with the cocoa powder, and sprinkle over the top of the cake evenly. Pour the coffee over the top (seriously), and bake for 30-35 minutes. I make something like this called "wacky cake" at least once a month!! So good. Sometimes I only bake it for like 15 minutes though because I like it really gooey. I am so glad I found your site! everything looks so good! can't wait to try out some recipes! Doesn't coffee make everything taste better! This looks Ooey gooey yum! 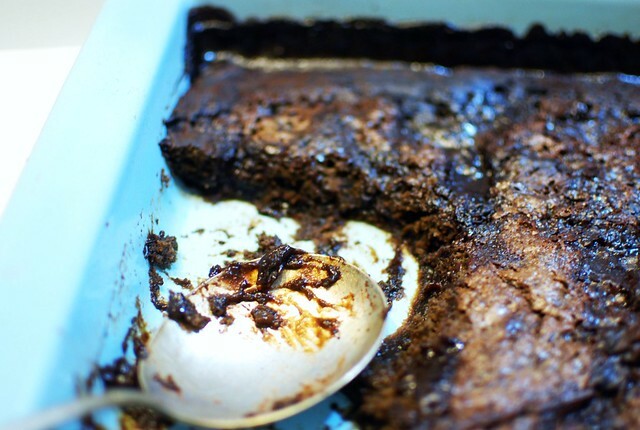 Ice cream topping adds sweet taste to the mocha pudding cake. Choose strong coffee to make the mocha pudding cake taste flavorful. This is a tasty vegan dessert to try.